Ty Cobb won more batting titles than any other player, though the precise number is unclear because of the race in the 1910 American League. In baseball, batting average (AVG) is a measure of a batter's success rate in achieving a hit during an at bat. In Major League Baseball (MLB), it is calculated by dividing a player's hits by his at bats (AB). In MLB, a player in each league[L] wins the "batting title" each season for having the highest batting average that year. The American League (AL) winner is known as the "Rod Carew American League Batting Champion", while the National League (NL) leader is designated the "Tony Gwynn National League Batting Champion". Under current rules, a player must have 3.1 plate appearances (PA) per team game (for a total of 502 over the current 162-game season) to qualify for the batting title. However, if a player's lead in AVG is sufficiently large that enough hitless at bats can be added to reach this requirement and the player still would have the highest batting average, he wins the title. Tony Gwynn, for example, had 159 hits in 451 ABs in 1996 (.353 average) but only 498 PAs. Gwynn's batting average would have dropped to .349 (159 hits in 455 ABs) with four hitless ABs added to reach the 502 PA requirement, but this would still have been higher than the next-highest eligible player (.344 average), so he was awarded the 1996 NL batting title. The first batting average champion in the NL was Ross Barnes; in the league's inaugural 1876 season, Barnes batted .429 for the Chicago White Stockings. The AL was established in 1901, and Hall of Fame second baseman Nap Lajoie led that league with a .426 average for the Philadelphia Athletics. 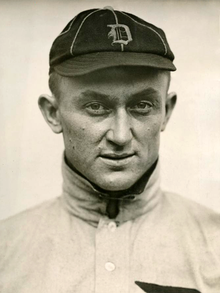 Ty Cobb of the Detroit Tigers, who also holds the highest career batting average of .366, led the AL in average in 11 (or 12) seasons. Honus Wagner and Gwynn are tied for the second-most titles, with eight apiece in the NL. It is unclear whether Lajoie or Cobb won the 1910 AL title, with some sources attributing the title to each man. [1910a] If Cobb is credited with the 1910 title, he won 9 consecutive titles from 1907 to 1915 and 12 total titles for his career. Otherwise, Rogers Hornsby won the most consecutive titles, with six from 1920 to 1925. Without the 1910 title, Cobb still led the league in five consecutive seasons from 1911 to 1915. 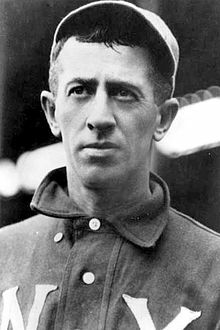 Cobb holds the record for highest average in two and three consecutive seasons (.414 from 1911 to 1912 and .408 from 1911 to 1913), but Hornsby holds the record for four and five consecutive seasons (.404 from 1922 to 1925 and .402 from 1921 to 1925). Wagner, Rod Carew, Wade Boggs, and Gwynn have each won four consecutive titles. Lajoie also had a streak of four league-leading seasons from 1901 to 1904 if he is credited with the contested AL title in 1902. [1902a] At the 2016 MLB All-Star Game in San Diego, MLB announced that the AL and NL batting champions would henceforth be named in honor of Carew and Gwynn, respectively. Gwynn won all eight titles in the NL with the San Diego Padres, while Carew was a seven-time AL batting champion. 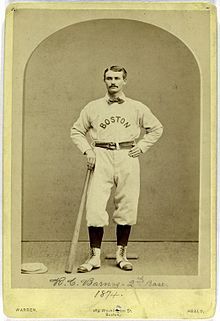 Barnes' initial NL-leading average of .4286 in 1876 set the single-season record which stood for a decade. Tip O'Neill topped this total with a .4352 average in 1887 (that batting average had to be calculated without counting walks as hits, because of the walk-as-base-hit rule being in effect that year only), and Hugh Duffy set the current record mark in 1894 by posting a .4397 batting average. Under the current 3.1 PA qualification, players have posted a .400 batting average for a season 28 times. 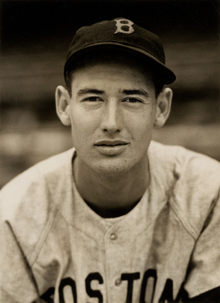 Ted Williams' .4057 in 1941 is the most recent such season, one of 13 to occur since 1900. George Brett in 1980 is the only player to maintain a .400 average into September since 1941. Additionally, only Brett and John Olerud in 1993 maintained such an average into August. With the modern scarcity of .400 hitters, recent players who have been above .400 early in the season, such as Chipper Jones in 2008, have drawn significant attention in the media. Brett's .390 in 1980 and Gwynn's .394 in 1994 are the only seasons in which a player reached .390 since 1941. Carl Yastrzemski's .301 in the 1968 American League was the lowest batting average ever to lead a league. Willie Keeler's 1897 and Zack Wheat's 1918 are the only two title seasons in which the winner hit no home runs. Joe Mauer's 2006 title made him the first catcher to ever win an AL batting title, and his third title in 2009 surpassed Ernie Lombardi's previous record of two titles for a catcher in any league. In 1990, Willie McGee posted a .335 average over 542 at-bats in the NL before being traded to the AL on August 29. 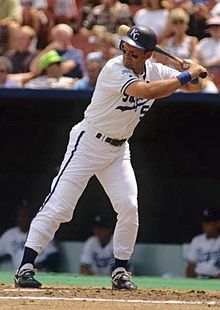 Although McGee finished the season in the AL, he had enough PA's in the NL to qualify for the NL batting title, which he won narrowly over Eddie Murray's .330. However, McGee batted .274 that season in the AL, bringing down his overall average to .324 and allowing Murray to lead the majors in batting average. 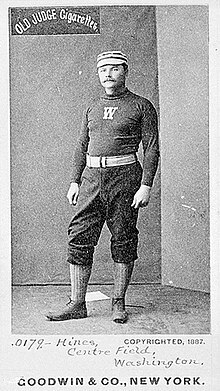 Ross Barnes' .429 in 1876 set a single-season record that stood for a decade. Paul Hines won two consecutive NL batting titles in 1878 and 1879. 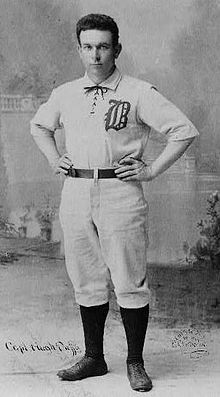 Hugh Duffy set the current single-season record when he batted .440 in 1894. Willie Keeler won two consecutive NL batting titles in 1897 and 1898. Honus Wagner was the first batter to win eight NL batting titles and won four consecutive titles during that run. 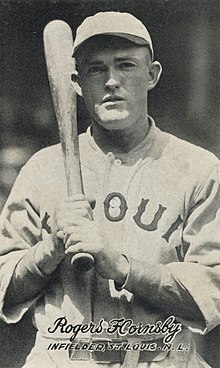 Rogers Hornsby won seven NL batting titles, including six consecutively from 1920 to 1925. 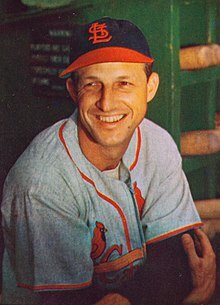 Stan Musial won seven NL batting titles from 1943 to 1957. 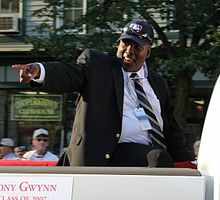 Tony Gwynn won an record-tying eight NL batting titles from 1984 to 1997. Albert Pujols won the closest NL batting race in 2003. 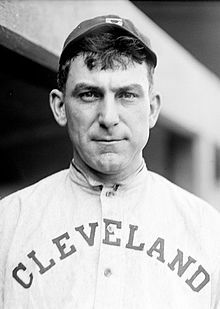 Nap Lajoie led the American League in its inaugural season with a .426 batting average, one of just 13 seasons of a .400+ average in the 20th century. In addition, Lajoie was a part of two separate contested batting average races in 1902 and 1910. Ted Williams won six AL batting titles. He hit .406 in 1941, and that is the last time a player has hit over .400. 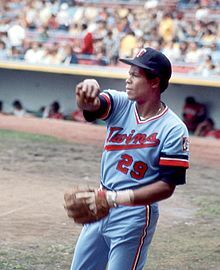 Rod Carew won seven AL batting titles between 1969 and 1978. George Brett's .390 batting average in 1980 is the second-highest since 1941. 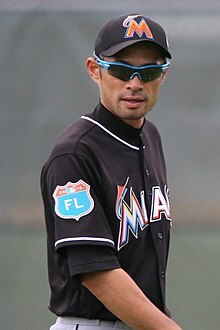 Ichiro Suzuki won AL batting titles in 2001 and 2004. 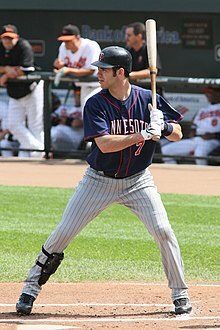 Joe Mauer won the 2006, 2008, and 2009 batting titles, becoming the first catcher to win three batting titles and the only catcher ever to win in the AL. Benny Kauff won the only two Federal League batting titles in 1914 and 1915. L Recognized "major leagues" include the current American and National Leagues and several defunct leagues – the American Association, the Federal League, the Players' League, and the Union Association. 1902a 1902b Sources differ as to whether Nap Lajoie or Ed Delahanty won the American League batting title in 1902 and differ slightly over Lajoie's precise statistics that season. 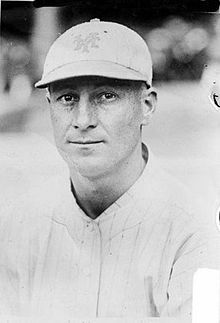 The Hall of Fame credits Lajoie with 129 hits in 352 at bats (.368) while MLB and Baseball-Reference.com show 133 hits in 352 at bats (.378). According to Baseball-Reference a player qualified for a batting title prior to 1920 by appearing in 60% of his team's games—82 games in the 136 game schedule in 1902—and Lajoie appeared in 87 team games. As such, Baseball-Reference credits Lajoie with the 1902 title, with Delahanty's .376 batting average placing second. MLB's historical statistics leaderboards, however, use the modern standard of 3.1 plate appearances per team game (422 in that season) which Lajoie fell 37 short of. Thus, MLB credits Delahanty with the 1902 title with his .376 average. Similarly the Hall of Fame lists the 1902 title on Delahanty's plaque and not Lajoie's. 1910a 1910b Before the 1910 season, Hugh Chalmers of Chalmers Automobile announced he would present a Chalmers Model 30 automobile to the player with the highest batting average at the end of the season. The 1910 race for best average in the American League was between Nap Lajoie of the Cleveland Indians and the Detroit Tigers' widely disliked Cobb. On the last day of the season, Lajoie overtook Cobb's batting average with seven bunt hits in a doubleheader against the St. Louis Browns. Browns' manager Jack O'Connor supposedly told his third baseman Red Corriden to play back down the line all day, which allowed Lajoie easy bunt hits. Cobb complained about the move, though American League President Ban Johnson said that a recalculation showed that Cobb had won the race anyway and Chalmers ultimately awarded cars to both players. 1954 Rules in 1954 required 2.6 at bats per team game, 400 for a 154-game schedule (the rule was changed in 1957 to the current requirement of 3.1 plate appearances per team game), to qualify for the title and hitless at bats could be added to reach this total. Ted Williams posted a .345 average in 1954 over only 386 at bats, and the required hitless at bats drop him below Avila's league-leading .341 average. "Yearly League Leaders & Records for Batting Average". Baseball-Reference.com. Retrieved February 6, 2010. "MLB Baseball Hall of Fame Inductees". Baseball-Reference.com. Retrieved February 6, 2010. ^ Frisaro, Joe (April 5, 2010). "Hanley sees batting title in Coghlan's future". MLB.com. Major League Baseball. Archived from the original on April 12, 2010. Retrieved May 16, 2010. ^ "Ramirez wins batting title;Mauer all but lock". NBC Sports. Associated Press. October 4, 2009. Retrieved May 16, 2010. ^ a b "Official Rules: 10.00 The Official Scorer". MLB.com. Major League Baseball. Retrieved May 16, 2010. ^ a b "Tony Gwynn Statistics and History". Baseball-Reference.com. Retrieved May 16, 2010. ^ a b "1996 National League Batting Leaders". Baseball-Reference.com. Retrieved April 19, 2010. ^ "Ross Barnes Statistics and History". Baseball-Reference.com. Retrieved May 16, 2010. ^ "Nap Lajoie Statistics and History". Baseball-Reference.com. Retrieved May 16, 2010. ^ "Ty Cobb Statistics and History". Baseball-Reference.com. Retrieved May 16, 2010. ^ "Honus Wagner Statistics and History". Baseball-Reference.com. Retrieved May 16, 2010. ^ The SABR Baseball List & Record Book. New York: Scribner. 2007. pp. 143–144. ^ Footer, Alyson. "NL, AL batting titles named after Gwynn, Carew". MLB.com. Retrieved July 12, 2016. ^ a b "Progressive Leaders and Records for Batting Average". Baseball-Reference.com. Retrieved May 16, 2010. ^ a b "Single-Season Leaders and Records for Batting Average". Baseball-Reference.com. Retrieved May 16, 2010. ^ a b c Caple, Jim (June 13, 2008). "Three cheers for Chipper Jones and his pursuit of .400". ESPN.com. Retrieved May 16, 2010. ^ Foster, Chris (June 15, 2008). "Jones learning it's a very public chase for .400". SFGate.com. Retrieved May 16, 2010. ^ "Willie Keeler Statistics and History". Baseball-Reference.com. Retrieved May 16, 2010. ^ "Zack Wheat Statistics and History". Baseball-Reference.com. Retrieved October 19, 2011. ^ "Joe Mauer Statistics and History". Baseball-Reference.com. Retrieved May 16, 2010. ^ "Ernie Lombardi Statistics and History". Baseball-Reference.com. Retrieved May 16, 2010. ^ "Mauer wins AL batting title on final day". ESPN.com. Associated Press. October 1, 2006. Retrieved May 16, 2010. ^ "Cooperstown comes to Joe Mauer". baseballhall.org. National Baseball Hall of Fame. April 9, 2010. Retrieved May 16, 2010. 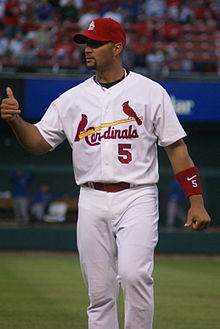 ^ a b c d "Pujols (.3587) barely edges Helton (.3585)". ESPN.com. Associated Press. September 28, 2003. Retrieved May 22, 2010. ^ a b "1945 American League Batting Leaders". Baseball-Reference.com. Retrieved April 19, 2010. ^ a b "2003 National League Batting Leaders". Baseball-Reference.com. Retrieved April 19, 2010. ^ a b "Willie McGee Statistics and History". Baseball-Reference.com. Retrieved September 30, 2011. ^ "1990 Major League Baseball Batting Leaders". Baseball-Reference.com. Retrieved September 30, 2011. ^ "1876 National League Batting Leaders". Baseball-Reference.com. Retrieved April 19, 2010. ^ "1877 National League Batting Leaders". Baseball-Reference.com. Retrieved April 19, 2010. ^ "1878 National League Batting Leaders". Baseball-Reference.com. Retrieved April 19, 2010. ^ "1879 National League Batting Leaders". Baseball-Reference.com. Retrieved April 19, 2010. ^ "1880 National League Batting Leaders". Baseball-Reference.com. Retrieved April 19, 2010. ^ "1881 National League Batting Leaders". Baseball-Reference.com. Retrieved April 19, 2010. ^ "1882 National League Batting Leaders". Baseball-Reference.com. Retrieved April 19, 2010. ^ "1883 National League Batting Leaders". Baseball-Reference.com. Retrieved April 19, 2010. ^ "1884 National League Batting Leaders". Baseball-Reference.com. Retrieved April 19, 2010. ^ "1885 National League Batting Leaders". Baseball-Reference.com. Retrieved April 19, 2010. ^ "1886 National League Batting Leaders". Baseball-Reference.com. Retrieved April 19, 2010. ^ "1887 National League Batting Leaders". Baseball-Reference.com. Retrieved April 19, 2010. ^ "1888 National League Batting Leaders". Baseball-Reference.com. Retrieved April 19, 2010. ^ "1889 National League Batting Leaders". Baseball-Reference.com. Retrieved April 19, 2010. ^ "1890 National League Batting Leaders". Baseball-Reference.com. Retrieved April 19, 2010. ^ "1891 National League Batting Leaders". Baseball-Reference.com. Retrieved April 19, 2010. ^ "1892 National League Batting Leaders". Baseball-Reference.com. Retrieved April 19, 2010. ^ "1893 National League Batting Leaders". Baseball-Reference.com. Retrieved April 19, 2010. ^ "1894 National League Batting Leaders". Baseball-Reference.com. Retrieved April 19, 2010. ^ "1895 National League Batting Leaders". Baseball-Reference.com. Retrieved April 19, 2010. ^ "1896 National League Batting Leaders". Baseball-Reference.com. Retrieved April 19, 2010. ^ "1897 National League Batting Leaders". Baseball-Reference.com. Retrieved April 19, 2010. ^ "1898 National League Batting Leaders". Baseball-Reference.com. Retrieved April 19, 2010. ^ "1899 National League Batting Leaders". Baseball-Reference.com. Retrieved April 19, 2010. ^ "1900 National League Batting Leaders". Baseball-Reference.com. Retrieved April 19, 2010. ^ "1901 National League Batting Leaders". Baseball-Reference.com. Retrieved April 19, 2010. ^ "1902 National League Batting Leaders". Baseball-Reference.com. Retrieved April 19, 2010. ^ "1903 National League Batting Leaders". Baseball-Reference.com. Retrieved April 19, 2010. ^ "1904 National League Batting Leaders". Baseball-Reference.com. Retrieved April 19, 2010. ^ "1905 National League Batting Leaders". Baseball-Reference.com. Retrieved April 19, 2010. ^ "1906 National League Batting Leaders". Baseball-Reference.com. Retrieved April 19, 2010. ^ "1907 National League Batting Leaders". Baseball-Reference.com. Retrieved April 19, 2010. ^ "1908 National League Batting Leaders". Baseball-Reference.com. Retrieved April 19, 2010. ^ "1909 National League Batting Leaders". Baseball-Reference.com. Retrieved April 19, 2010. ^ "1910 National League Batting Leaders". Baseball-Reference.com. Retrieved April 19, 2010. ^ "1911 National League Batting Leaders". Baseball-Reference.com. Retrieved April 19, 2010. ^ "1912 National League Batting Leaders". Baseball-Reference.com. Retrieved April 19, 2010. ^ "1913 National League Batting Leaders". Baseball-Reference.com. Retrieved April 19, 2010. ^ "1914 National League Batting Leaders". Baseball-Reference.com. Retrieved April 19, 2010. ^ "1915 National League Batting Leaders". Baseball-Reference.com. Retrieved April 19, 2010. ^ "1916 National League Batting Leaders". Baseball-Reference.com. Retrieved April 19, 2010. ^ "1917 National League Batting Leaders". Baseball-Reference.com. Retrieved April 19, 2010. ^ "1918 National League Batting Leaders". Baseball-Reference.com. Retrieved April 19, 2010. ^ "1919 National League Batting Leaders". Baseball-Reference.com. Retrieved April 19, 2010. ^ "1920 National League Batting Leaders". Baseball-Reference.com. Retrieved April 19, 2010. ^ "1921 National League Batting Leaders". Baseball-Reference.com. Retrieved April 19, 2010. ^ "1922 National League Batting Leaders". Baseball-Reference.com. Retrieved April 19, 2010. ^ "1923 National League Batting Leaders". Baseball-Reference.com. Retrieved April 19, 2010. ^ "1924 National League Batting Leaders". Baseball-Reference.com. Retrieved April 19, 2010. ^ "1925 National League Batting Leaders". Baseball-Reference.com. Retrieved April 19, 2010. ^ "1926 National League Batting Leaders". Baseball-Reference.com. Retrieved April 19, 2010. ^ "1927 National League Batting Leaders". Baseball-Reference.com. Retrieved April 19, 2010. ^ "1928 National League Batting Leaders". Baseball-Reference.com. Retrieved April 19, 2010. ^ "1929 National League Batting Leaders". Baseball-Reference.com. Retrieved April 19, 2010. ^ "1930 National League Batting Leaders". Baseball-Reference.com. Retrieved April 19, 2010. ^ "1931 National League Batting Leaders". Baseball-Reference.com. Retrieved April 19, 2010. ^ "1932 National League Batting Leaders". Baseball-Reference.com. Retrieved April 19, 2010. ^ "1933 National League Batting Leaders". Baseball-Reference.com. Retrieved April 19, 2010. ^ "1934 National League Batting Leaders". Baseball-Reference.com. Retrieved April 19, 2010. ^ "1935 National League Batting Leaders". Baseball-Reference.com. Retrieved April 19, 2010. ^ "1936 National League Batting Leaders". Baseball-Reference.com. Retrieved April 19, 2010. ^ "1937 National League Batting Leaders". Baseball-Reference.com. Retrieved April 19, 2010. ^ "1938 National League Batting Leaders". Baseball-Reference.com. Retrieved April 19, 2010. ^ "1939 National League Batting Leaders". Baseball-Reference.com. Retrieved April 19, 2010. ^ "1940 National League Batting Leaders". Baseball-Reference.com. Retrieved April 19, 2010. ^ "1941 National League Batting Leaders". Baseball-Reference.com. Retrieved April 19, 2010. ^ "1942 National League Batting Leaders". Baseball-Reference.com. Retrieved April 19, 2010. ^ "1943 National League Batting Leaders". Baseball-Reference.com. Retrieved April 19, 2010. ^ "1944 National League Batting Leaders". Baseball-Reference.com. Retrieved April 19, 2010. ^ "1945 National League Batting Leaders". Baseball-Reference.com. Retrieved April 19, 2010. ^ "1946 National League Batting Leaders". Baseball-Reference.com. Retrieved April 19, 2010. ^ "1947 National League Batting Leaders". Baseball-Reference.com. Retrieved April 19, 2010. ^ "1948 National League Batting Leaders". Baseball-Reference.com. Retrieved April 19, 2010. ^ "1949 National League Batting Leaders". Baseball-Reference.com. Retrieved April 19, 2010. ^ "1950 National League Batting Leaders". Baseball-Reference.com. Retrieved April 19, 2010. ^ "1951 National League Batting Leaders". Baseball-Reference.com. Retrieved April 19, 2010. ^ "1952 National League Batting Leaders". Baseball-Reference.com. Retrieved April 19, 2010. ^ "1953 National League Batting Leaders". Baseball-Reference.com. Retrieved April 19, 2010. ^ "1954 National League Batting Leaders". Baseball-Reference.com. Retrieved April 19, 2010. ^ "1955 National League Batting Leaders". Baseball-Reference.com. Retrieved April 19, 2010. ^ "1956 National League Batting Leaders". Baseball-Reference.com. Retrieved April 19, 2010. ^ "1957 National League Batting Leaders". Baseball-Reference.com. Retrieved April 19, 2010. ^ "1958 National League Batting Leaders". Baseball-Reference.com. Retrieved April 19, 2010. ^ "1959 National League Batting Leaders". Baseball-Reference.com. Retrieved April 19, 2010. ^ "1960 National League Batting Leaders". Baseball-Reference.com. Retrieved April 19, 2010. ^ "1961 National League Batting Leaders". Baseball-Reference.com. Retrieved April 19, 2010. ^ "1962 National League Batting Leaders". Baseball-Reference.com. Retrieved April 19, 2010. ^ "1963 National League Batting Leaders". Baseball-Reference.com. Retrieved April 19, 2010. ^ "1964 National League Batting Leaders". Baseball-Reference.com. Retrieved April 19, 2010. ^ "1965 National League Batting Leaders". Baseball-Reference.com. Retrieved April 19, 2010. ^ "1966 National League Batting Leaders". Baseball-Reference.com. Retrieved April 19, 2010. ^ "1967 National League Batting Leaders". Baseball-Reference.com. Retrieved April 19, 2010. ^ "1968 National League Batting Leaders". Baseball-Reference.com. Retrieved April 19, 2010. ^ "1969 National League Batting Leaders". Baseball-Reference.com. Retrieved April 19, 2010. ^ "1970 National League Batting Leaders". Baseball-Reference.com. Retrieved April 19, 2010. ^ "1971 National League Batting Leaders". Baseball-Reference.com. Retrieved April 19, 2010. ^ "1972 National League Batting Leaders". Baseball-Reference.com. Retrieved April 19, 2010. ^ "1973 National League Batting Leaders". Baseball-Reference.com. Retrieved April 19, 2010. ^ "1974 National League Batting Leaders". Baseball-Reference.com. Retrieved April 19, 2010. ^ "1975 National League Batting Leaders". Baseball-Reference.com. Retrieved April 19, 2010. ^ "1976 National League Batting Leaders". Baseball-Reference.com. Retrieved April 19, 2010. ^ "1977 National League Batting Leaders". Baseball-Reference.com. Retrieved April 19, 2010. ^ "1978 National League Batting Leaders". Baseball-Reference.com. Retrieved April 19, 2010. ^ "1979 National League Batting Leaders". Baseball-Reference.com. Retrieved April 19, 2010. ^ "1980 National League Batting Leaders". Baseball-Reference.com. Retrieved April 19, 2010. ^ "1981 National League Batting Leaders". Baseball-Reference.com. Retrieved April 19, 2010. ^ "1982 National League Batting Leaders". Baseball-Reference.com. Retrieved April 19, 2010. ^ "1983 National League Batting Leaders". Baseball-Reference.com. Retrieved April 19, 2010. ^ "1984 National League Batting Leaders". Baseball-Reference.com. Retrieved April 19, 2010. ^ "1985 National League Batting Leaders". Baseball-Reference.com. Retrieved April 19, 2010. ^ "1986 National League Batting Leaders". Baseball-Reference.com. Retrieved April 19, 2010. ^ "1987 National League Batting Leaders". Baseball-Reference.com. Retrieved April 19, 2010. ^ "1988 National League Batting Leaders". Baseball-Reference.com. Retrieved April 19, 2010. ^ "1989 National League Batting Leaders". Baseball-Reference.com. Retrieved April 19, 2010. ^ "1990 National League Batting Leaders". Baseball-Reference.com. Retrieved April 19, 2010. ^ "1991 National League Batting Leaders". Baseball-Reference.com. Retrieved April 19, 2010. ^ "1992 National League Batting Leaders". Baseball-Reference.com. Retrieved April 19, 2010. ^ "1993 National League Batting Leaders". Baseball-Reference.com. Retrieved April 19, 2010. ^ "1994 National League Batting Leaders". Baseball-Reference.com. Retrieved April 19, 2010. ^ "1995 National League Batting Leaders". Baseball-Reference.com. Retrieved April 19, 2010. ^ "1997 National League Batting Leaders". Baseball-Reference.com. Retrieved April 19, 2010. ^ "1998 National League Batting Leaders". Baseball-Reference.com. Retrieved April 19, 2010. ^ "1999 National League Batting Leaders". Baseball-Reference.com. Retrieved April 19, 2010. ^ "2000 National League Batting Leaders". Baseball-Reference.com. Retrieved April 19, 2010. ^ "2001 National League Batting Leaders". Baseball-Reference.com. Retrieved April 19, 2010. ^ "2002 National League Batting Leaders". Baseball-Reference.com. Retrieved April 19, 2010. ^ "2004 National League Batting Leaders". Baseball-Reference.com. Retrieved April 19, 2010. ^ "2005 National League Batting Leaders". Baseball-Reference.com. Retrieved April 19, 2010. ^ "2006 National League Batting Leaders". Baseball-Reference.com. Retrieved April 19, 2010. ^ "2007 National League Batting Leaders". Baseball-Reference.com. Retrieved April 19, 2010. ^ "2008 National League Batting Leaders". Baseball-Reference.com. Retrieved April 19, 2010. ^ "2009 National League Batting Leaders". Baseball-Reference.com. Retrieved April 19, 2010. ^ "2010 National League Batting Leaders". Baseball-Reference.com. Retrieved October 4, 2010. ^ "2011 National League Batting Leaders". Baseball-Reference.com. Retrieved September 28, 2011. ^ "2012 National League Batting Leaders". Baseball-Reference.com. Retrieved October 3, 2012. ^ "2013 National League Batting Leaders". Baseball-Reference.com. Retrieved April 22, 2014. ^ "Justin Morneau wins NL batting title in resurgent year with Rockies". Yahoo.com. Yahoo! Sports. Retrieved September 28, 2014. ^ "2015 National League Batting Leaders". Baseball-Reference.com. Retrieved October 4, 2015. ^ "2016 National League Batting Leaders". Baseball-Reference.com. Retrieved October 2, 2016. ^ "2017 National League Batting Leaders". Baseball-Reference.com. Retrieved October 1, 2017. ^ "2018 National League Batting Leaders". Baseball-Reference.com. Retrieved October 1, 2018. ^ "1901 American League Batting Leaders". Baseball-Reference.com. Retrieved April 19, 2010. ^ "1903 American League Batting Leaders". Baseball-Reference.com. Retrieved April 19, 2010. ^ "1904 American League Batting Leaders". Baseball-Reference.com. Retrieved April 19, 2010. ^ "1905 American League Batting Leaders". Baseball-Reference.com. Retrieved April 19, 2010. ^ "1906 American League Batting Leaders". Baseball-Reference.com. Retrieved April 19, 2010. ^ "1907 American League Batting Leaders". Baseball-Reference.com. Retrieved April 19, 2010. ^ "1908 American League Batting Leaders". Baseball-Reference.com. Retrieved April 19, 2010. ^ "1909 American League Batting Leaders". Baseball-Reference.com. Retrieved April 19, 2010. ^ "1911 American League Batting Leaders". Baseball-Reference.com. Retrieved April 19, 2010. ^ "1912 American League Batting Leaders". Baseball-Reference.com. Retrieved April 19, 2010. ^ "1913 American League Batting Leaders". Baseball-Reference.com. Retrieved April 19, 2010. ^ "1914 American League Batting Leaders". Baseball-Reference.com. Retrieved April 19, 2010. ^ "1915 American League Batting Leaders". Baseball-Reference.com. Retrieved April 19, 2010. ^ "1916 American League Batting Leaders". Baseball-Reference.com. Retrieved April 19, 2010. ^ "1917 American League Batting Leaders". Baseball-Reference.com. Retrieved April 19, 2010. ^ "1918 American League Batting Leaders". Baseball-Reference.com. Retrieved April 19, 2010. ^ "1919 American League Batting Leaders". Baseball-Reference.com. Retrieved April 19, 2010. ^ "1920 American League Batting Leaders". Baseball-Reference.com. Retrieved April 19, 2010. ^ "1921 American League Batting Leaders". Baseball-Reference.com. Retrieved April 19, 2010. ^ "1922 American League Batting Leaders". Baseball-Reference.com. Retrieved April 19, 2010. ^ "1923 American League Batting Leaders". Baseball-Reference.com. Retrieved April 19, 2010. ^ "1924 American League Batting Leaders". Baseball-Reference.com. Retrieved April 19, 2010. ^ "1925 American League Batting Leaders". Baseball-Reference.com. Retrieved April 19, 2010. ^ "1926 American League Batting Leaders". Baseball-Reference.com. Retrieved April 19, 2010. ^ "1927 American League Batting Leaders". Baseball-Reference.com. Retrieved April 19, 2010. ^ "1928 American League Batting Leaders". Baseball-Reference.com. Retrieved April 19, 2010. ^ "1929 American League Batting Leaders". Baseball-Reference.com. Retrieved April 19, 2010. ^ "1930 American League Batting Leaders". Baseball-Reference.com. Retrieved April 19, 2010. ^ "1931 American League Batting Leaders". Baseball-Reference.com. Retrieved April 19, 2010. ^ "1932 American League Batting Leaders". Baseball-Reference.com. Retrieved April 19, 2010. ^ "1933 American League Batting Leaders". Baseball-Reference.com. Retrieved April 19, 2010. ^ "1934 American League Batting Leaders". Baseball-Reference.com. Retrieved April 19, 2010. ^ "1935 American League Batting Leaders". Baseball-Reference.com. Retrieved April 19, 2010. ^ "1936 American League Batting Leaders". Baseball-Reference.com. Retrieved April 19, 2010. ^ "1937 American League Batting Leaders". Baseball-Reference.com. Retrieved April 19, 2010. ^ "1938 American League Batting Leaders". Baseball-Reference.com. Retrieved April 19, 2010. ^ "1939 American League Batting Leaders". Baseball-Reference.com. Retrieved April 19, 2010. ^ "1940 American League Batting Leaders". Baseball-Reference.com. Retrieved April 19, 2010. ^ "1941 American League Batting Leaders". Baseball-Reference.com. Retrieved April 19, 2010. ^ "1942 American League Batting Leaders". Baseball-Reference.com. Retrieved April 19, 2010. ^ "1943 American League Batting Leaders". Baseball-Reference.com. Retrieved April 19, 2010. ^ "1944 American League Batting Leaders". Baseball-Reference.com. Retrieved April 19, 2010. ^ "1946 American League Batting Leaders". Baseball-Reference.com. Retrieved April 19, 2010. ^ "1947 American League Batting Leaders". Baseball-Reference.com. Retrieved April 19, 2010. ^ "1948 American League Batting Leaders". Baseball-Reference.com. Retrieved April 19, 2010. ^ "1949 American League Batting Leaders". Baseball-Reference.com. Retrieved April 19, 2010. ^ "1950 American League Batting Leaders". Baseball-Reference.com. Retrieved April 19, 2010. ^ "1951 American League Batting Leaders". Baseball-Reference.com. Retrieved April 19, 2010. ^ "1952 American League Batting Leaders". Baseball-Reference.com. Retrieved April 19, 2010. ^ "1953 American League Batting Leaders". Baseball-Reference.com. Retrieved April 19, 2010. ^ a b "1954 American League Batting Leaders". Baseball-Reference.com. Retrieved April 19, 2010. ^ "1955 American League Batting Leaders". Baseball-Reference.com. Retrieved April 19, 2010. ^ "1956 American League Batting Leaders". Baseball-Reference.com. Retrieved April 19, 2010. ^ "1957 American League Batting Leaders". Baseball-Reference.com. Retrieved April 19, 2010. ^ "1958 American League Batting Leaders". Baseball-Reference.com. Retrieved April 19, 2010. ^ "1959 American League Batting Leaders". Baseball-Reference.com. Retrieved April 19, 2010. ^ "1960 American League Batting Leaders". Baseball-Reference.com. Retrieved April 19, 2010. ^ "1961 American League Batting Leaders". Baseball-Reference.com. Retrieved April 19, 2010. ^ "1962 American League Batting Leaders". Baseball-Reference.com. Retrieved April 19, 2010. ^ "1963 American League Batting Leaders". Baseball-Reference.com. Retrieved April 19, 2010. ^ "1964 American League Batting Leaders". Baseball-Reference.com. Retrieved April 19, 2010. ^ "1965 American League Batting Leaders". Baseball-Reference.com. Retrieved April 19, 2010. ^ "1966 American League Batting Leaders". Baseball-Reference.com. Retrieved April 19, 2010. ^ "1967 American League Batting Leaders". Baseball-Reference.com. Retrieved April 19, 2010. ^ "1968 American League Batting Leaders". Baseball-Reference.com. Retrieved April 19, 2010. ^ "1969 American League Batting Leaders". Baseball-Reference.com. Retrieved April 19, 2010. ^ "1970 American League Batting Leaders". Baseball-Reference.com. Retrieved April 19, 2010. ^ "1971 American League Batting Leaders". Baseball-Reference.com. Retrieved April 19, 2010. ^ "1972 American League Batting Leaders". Baseball-Reference.com. Retrieved April 19, 2010. ^ "1973 American League Batting Leaders". Baseball-Reference.com. Retrieved April 19, 2010. ^ "1974 American League Batting Leaders". Baseball-Reference.com. Retrieved April 19, 2010. ^ "1975 American League Batting Leaders". Baseball-Reference.com. Retrieved April 19, 2010. ^ "1976 American League Batting Leaders". Baseball-Reference.com. Retrieved April 19, 2010. ^ "1977 American League Batting Leaders". Baseball-Reference.com. Retrieved April 19, 2010. ^ "1978 American League Batting Leaders". Baseball-Reference.com. Retrieved April 19, 2010. ^ "1979 American League Batting Leaders". Baseball-Reference.com. Retrieved April 19, 2010. ^ "1980 American League Batting Leaders". Baseball-Reference.com. Retrieved April 19, 2010. ^ "1981 American League Batting Leaders". Baseball-Reference.com. Retrieved April 19, 2010. ^ "1982 American League Batting Leaders". Baseball-Reference.com. Retrieved April 19, 2010. ^ "1983 American League Batting Leaders". Baseball-Reference.com. Retrieved April 19, 2010. ^ "1984 American League Batting Leaders". Baseball-Reference.com. Retrieved April 19, 2010. ^ "1985 American League Batting Leaders". Baseball-Reference.com. Retrieved April 19, 2010. ^ "1986 American League Batting Leaders". Baseball-Reference.com. Retrieved April 19, 2010. ^ "1987 American League Batting Leaders". Baseball-Reference.com. Retrieved April 19, 2010. ^ "1988 American League Batting Leaders". Baseball-Reference.com. Retrieved April 19, 2010. ^ "1989 American League Batting Leaders". Baseball-Reference.com. Retrieved April 19, 2010. ^ "1990 American League Batting Leaders". Baseball-Reference.com. Retrieved April 19, 2010. ^ "1991 American League Batting Leaders". Baseball-Reference.com. Retrieved April 19, 2010. ^ "1992 American League Batting Leaders". Baseball-Reference.com. Retrieved April 19, 2010. ^ "1993 American League Batting Leaders". Baseball-Reference.com. Retrieved April 19, 2010. ^ "1994 American League Batting Leaders". Baseball-Reference.com. Retrieved April 19, 2010. ^ "1995 American League Batting Leaders". Baseball-Reference.com. Retrieved April 19, 2010. ^ "1996 American League Batting Leaders". Baseball-Reference.com. Retrieved April 19, 2010. ^ "1997 American League Batting Leaders". Baseball-Reference.com. Retrieved April 19, 2010. ^ "1998 American League Batting Leaders". Baseball-Reference.com. Retrieved April 19, 2010. ^ "1999 American League Batting Leaders". Baseball-Reference.com. Retrieved April 19, 2010. ^ "2000 American League Batting Leaders". Baseball-Reference.com. Retrieved April 19, 2010. ^ "2001 American League Batting Leaders". Baseball-Reference.com. Retrieved April 19, 2010. ^ "2002 American League Batting Leaders". Baseball-Reference.com. Retrieved April 19, 2010. ^ "2003 American League Batting Leaders". Baseball-Reference.com. Retrieved April 19, 2010. ^ "2004 American League Batting Leaders". Baseball-Reference.com. Retrieved April 19, 2010. ^ "2005 American League Batting Leaders". Baseball-Reference.com. Retrieved April 19, 2010. ^ "2006 American League Batting Leaders". Baseball-Reference.com. Retrieved April 19, 2010. ^ "2007 American League Batting Leaders". Baseball-Reference.com. Retrieved April 19, 2010. ^ "2008 American League Batting Leaders". Baseball-Reference.com. Retrieved April 19, 2010. ^ "2009 American League Batting Leaders". Baseball-Reference.com. Retrieved April 19, 2010. ^ "2010 American League Batting Leaders". Baseball-Reference.com. Retrieved October 4, 2010. ^ "2011 American League Batting Leaders". Baseball-Reference.com. Retrieved September 29, 2011. ^ "2013 American League Batting Leaders". Baseball-Reference.com. Retrieved September 30, 2013. ^ "Altuve claims first batting crown in Astros history". mlb.com. MLB. Retrieved September 28, 2014. ^ "2015 American League Batting Leaders". Baseball-Reference.com. Retrieved October 4, 2015. ^ "2016 American League Batting Leaders". Baseball-Reference.com. Retrieved October 2, 2016. ^ "2017 American League Batting Leaders". Baseball-Reference.com. Retrieved October 1, 2017. ^ "2018 American League Batting Leaders". Baseball-Reference.com. Retrieved September 30, 2018. ^ "1882 American Association Batting Leaders". Baseball-Reference.com. Retrieved May 23, 2010. ^ "1883 American Association Batting Leaders". Baseball-Reference.com. Retrieved May 23, 2010. ^ "1884 American Association Batting Leaders". Baseball-Reference.com. Retrieved May 23, 2010. ^ "1884 Union Association Batting Leaders". Baseball-Reference.com. Retrieved May 23, 2010. ^ "1885 American Association Batting Leaders". Baseball-Reference.com. Retrieved May 23, 2010. ^ "1886 American Association Batting Leaders". Baseball-Reference.com. Retrieved May 23, 2010. ^ "1887 American Association Batting Leaders". Baseball-Reference.com. Retrieved May 23, 2010. ^ "1888 American Association Batting Leaders". Baseball-Reference.com. Retrieved May 23, 2010. ^ "1889 American Association Batting Leaders". Baseball-Reference.com. Retrieved May 23, 2010. ^ "1890 American Association Batting Leaders". Baseball-Reference.com. Retrieved May 23, 2010. ^ "1890 Players League Batting Leaders". Baseball-Reference.com. Retrieved May 23, 2010. ^ "1891 American Association Batting Leaders". Baseball-Reference.com. Retrieved May 23, 2010. ^ "1914 Federal League Batting Leaders". Baseball-Reference.com. Retrieved May 23, 2010. ^ "1915 Federal League Batting Leaders". Baseball-Reference.com. Retrieved May 23, 2010. ^ "Complete Baseball Team and Baseball Team Encyclopedias". Baseball-Reference.com. Retrieved March 15, 2010. ^ a b "Lajoie, Nap". baseballhall.org. Baseball Hall of Fame. Retrieved May 22, 2010. ^ a b c "Nap Lajoie Statistics and History". Baseball-Reference.com. Retrieved May 22, 2010. ^ "Nap Lajoie Stats, Bio, Photos, Highlights". MLB.com. Major League Baseball. Retrieved May 22, 2010. ^ a b "Frequently Asked Questions". Baseball-Reference.com. Retrieved May 22, 2010. ^ "1902 American League Season Summary". Baseball-Reference.com. Retrieved May 22, 2010. ^ "1902 American League Batting Leaders". Baseball-Reference.com. Retrieved April 19, 2010. ^ "Historical Leaders". MLB.com. Major League Baseball. Retrieved May 22, 2010. ^ "Delahanty, Ed". baseballhall.org. Baseball Hall of Fame. Retrieved May 22, 2010. ^ a b Gillette, Gary; Palmer, Pete (2007). The ESPN Baseball Encyclopedia (Fourth ed.). New York City: Sterling Publishing Co. pp. 1764–1765. ISBN 978-1-4027-4771-7. ^ Doyle, Havey (July 4, 1941). "Mirrors of Sport". Pittsburgh Post-Gazette. p. 18. ^ Schwartz, Larry. "He was a pain ... but a great pain". ESPN.com. Retrieved January 19, 2010. ^ a b Vail, James (2001). The road to Cooperstown: A critical history of baseball's Hall of Fame. McFarland & Company, Inc. p. 209. ISBN 978-0-7864-1012-5.